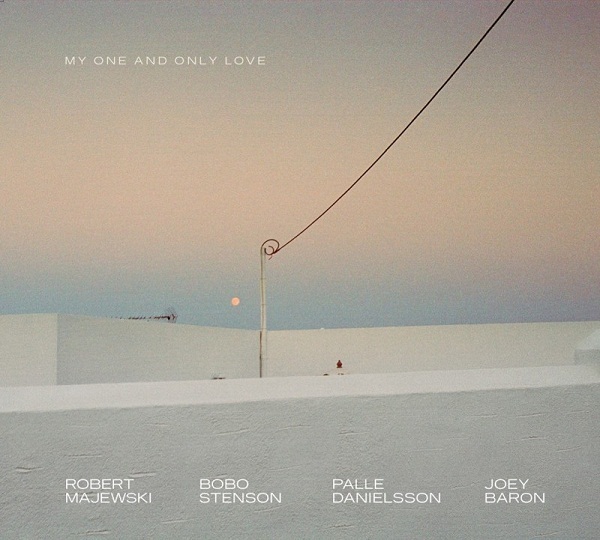 “My One And Only Love” is an encounter of famous jazz musicians: Polish trumpeter Robert Majewski, known for his unique sound; Swedish pianist Bobo Stenson, co-leader of a legendary quartet with Jan Garbarek; Swedish double bass player Palle Danielsson, part of famed European ensemble of Keith Jarett and American Joey Baron, one of the best drummers in the world, who on daily basis works with artists like John Zorn, Ron Carter or John Abercrombie. “My One And Only Love”, composed mainly of jazz ballads, was registered in mid-December in S4, studio of the Polish Radio in Warsaw. Along with world-famous ballads, the artists recorded also unforgettable Polish themes: “Nie budźcie mnie” of Jeremi Przybora and Jerzy Wasowski and “Ballad for Bernt” of Krzysztof Komeda, known from Polanski’s film “Knife in the Water”. What is the most curious, the musicians played in such ensemble for the first time (but, as they say, not the last either) and they played live in the same room and without earphones. As a result, we obtain a record with a real concert feeling and a studio quality. Author of the project and it’s music producer is Tomasz Gąssowski, knowed mostly as the composer of scores to Andrzej Jakimowski’s films: “Tricks” and “Squint your eyes”. The record is published by Zjednoczenie Artystow i Rzemieslnikow – ZaiR, producer of aforementioned films.